One of the new logos of the combined CORBA and IMBA. A few months ago we told you about our decision to partner with the International Mountain Bicycle Association’s (IMBA) chapter program. The process is complete, and we are happy to announce that the transition is going very well. However, there are still a few things that were unforeseen, one of them being the renewal process. Many CORBA members have recently received a renewal notice from IMBA, which may be confusing. This is because your CORBA membership automatically became an IMBA membership when we made the transition. No problem! Simply renew your new IMBA membership and select CORBA as your local chapter each time you renew. From now on when you renew, you will renew both your IMBA and CORBA membership at the same time, with everything being handled by IMBA. If renewing by telephone or mail, please make sure to indicate CORBA as your local chapter. We encourage you to continue to make donations directly to CORBA to help support our local efforts of advocacy, trail building and maintenance, free monthly mountain bike skills classes, Youth Adventures at-risk youth outings, Kids Club, and our web site www.corbamtb.com. CORBA still receives a percentage of membership dues though through this affiliation with IMBA, but dues alone can not support our programs entirely. 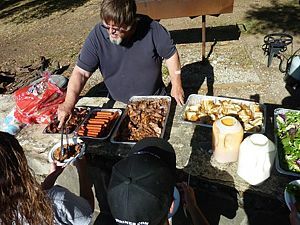 Our Trail Crew requires annual tool purchases, and Youth Adventures is in constant need of bikes, parts, and helmets, as well as snacks for participants because many of these kids can not even afford a granola bar for themselves or come to the outing without having had breakfast. Other costs include licensing and insurance for our trailers and ride programs. It adds up! Click here to go directly to our donation page. http://www.corbamtb.com/join/donate.shtml Thank you for your support in helping us keep trails open to bicycles! 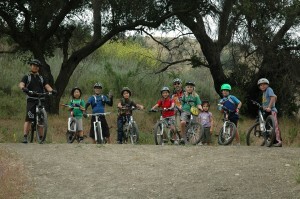 The CORBA Kids Club monthly ride was held on Saturday May 7 at Cheeseboro Canyon. After a hot week in SoCal, the weather cooled, and the kids enjoyed perfect riding conditions. Out for the ride were 8 kids (William, Julia, Josiah, Elliot, Ethan, RJ, Nolan, and Sean) and 5 adults (Larry, John, Joy, Dave, and Dave). As usual, the kids were super excited to see each other, make new friends, and get their tires onto the dirt. After Larry reviewed safety guidelines and trail etiquette, we left the Cheeseboro trailhead with one Dave in the lead and another Dave on sweep. Read the rest on our blog about CORBA Kids Club for May. Join CORBA and the Mount Wilson Bicycling Association for a day of trailwork on Sunset Ridge trail in the Angeles National Forest front country. The Sunset Ridge trail is among those that was recently re-opened to the public after the Station Fire. 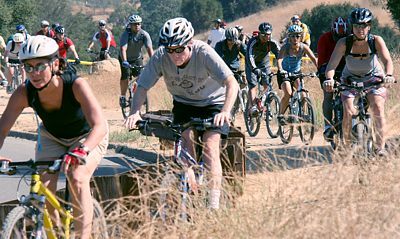 It is a popular hiking and mountain biking trail in the foothills above Altadena and Pasadena. It is often ridden as a loop with the Sam Merril Trail or Mt. Lowe Fireroad. Read the full details in our blog article. The 30th annual Santa Monica Mountains Trail Days took place on the weekend of April 29 - May 1 at Point Mugu State Park. 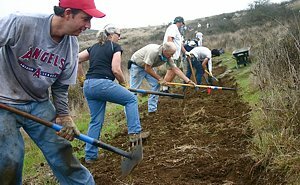 Organized by California State Parks and the Santa Monica Mountains Trails Council (SMMTC), the goal is to improve the state of the trails in the park while having a lot of fun. Along with State Parks, SMMTC, participating organizations included CORBA, the Sierra Club, California Native Plant Society, National Park Service, Santa Monica Mountains Natural History Association, Malibu Creek Docents and Temescal Canyon Association. Cal Coast Machinery, Inc., loaned State Park a John Deere Gator for the weekend to haul tools and people around. When we arrived at the staging grounds at the Danielson Multiuse Area on Saturday morning, there were a large number of colorful tents errected on the grass. People had arrived the night before to take advantage of the free camping that is offered to the trailwork volunteers. Some of these camper left that evening while others camped over another night and left Sunday, either before or after the trailwork. Breakfast in the form of bagels, speads and coffee was provided for campers. To see the full review of this weekend and links to photos, please see our blog entry on SMM Trails Days. According to the Forest Service map of the station fire closure area at http://maps.fs.fed.us/stationfire/ the list below shows the status, effective May 16 2011, of some of the more popular trails that were affected by the Station Fire. Keep in mind that even though these trails are in the newly opened areas of the forest, the individual trails may be signed closed. Please respect any trail closure signs and stay off those trails for your own safety and the recovery of the forest. Many of the trails will not be in good shape, so be prepared for surprises like downed trees, slides, washouts, ruts, and other hazards. Many trails have been drastically changed from before the Station Fire. Many fire roads have not yet been graded and may be much narrower and in very poor condition with ruts and washouts. All the usual caveats about trail safety apply so use the trails safely and responsibly, and be especially careful the first time you travel on one of the newly opened trails. To see the lists of opened and still closed trails, please see our blog article on Station Fire trails. Santa Monica Mountains Trail Days April 29 to May 1 – Join us! 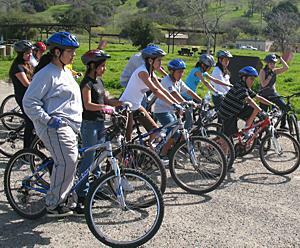 Next CORBA Kids Club ride will be Saturday June 4. Details and registration. Next CORBA Meet the Board ride will be Saturday June 4. Details. Next Beginners ride will be Saturday June 18. See our Rides Calendar for details. Another Beginners ride will be Saturday June 25. See our Rides Calendar for details. Saturday June 4th is the next skills clinic.